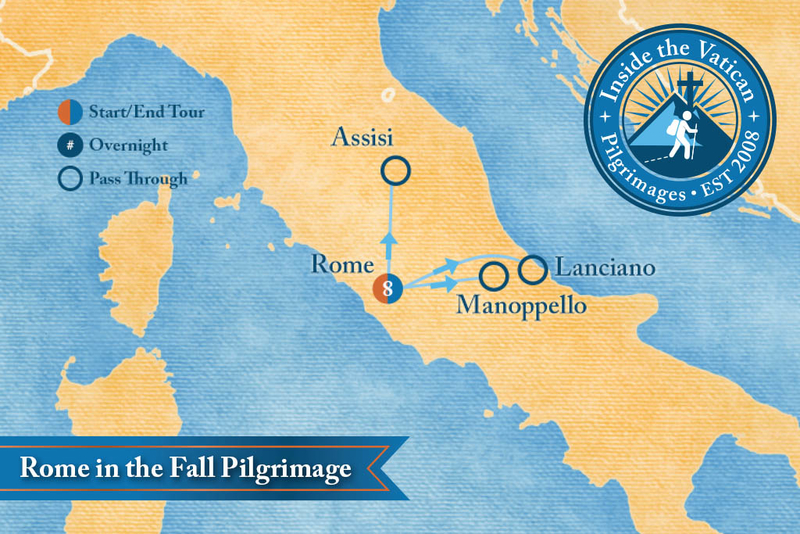 Join us as we visit the holiest of sites in Rome and travel through the colorful and lovely fall countryside to Lanciano/Manopello and Assisi. 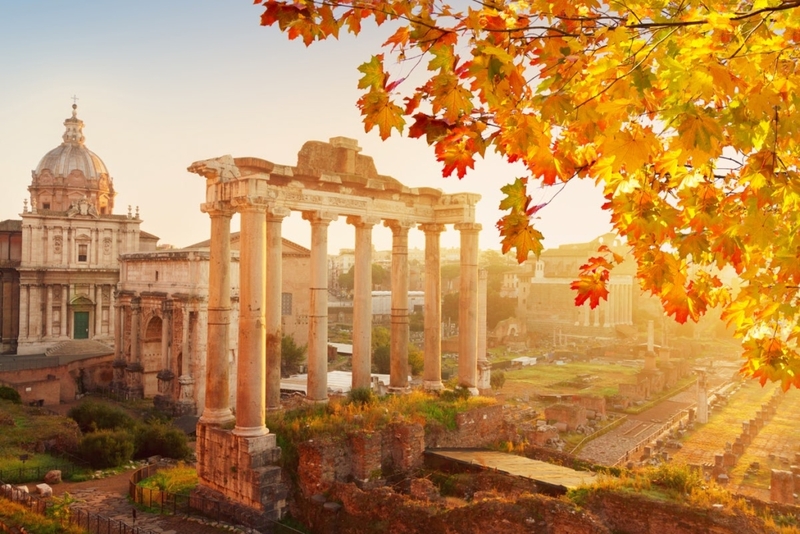 Our Rome in the Fall 2020 pilgrimage is part of our Classic Pilgrimage line, which we have carefully budgeted for families, couples and single travelers so that they can experience the unique qualities of Inside the Vatican Pilgrimages at an affordable price, without sacrificing Inside the Vatican integrity and style. These pilgrimages are limited to 35 pilgrims, never more! We cap the number of pilgrims because we want to keep each pilgrimage as intimate as possible. Stay at the beautiful Villa Serenella, a Maronite monastery, previously a Roman villa, now the home of a small band of monks from Lebanon. The monastery is within the geographical bounds of the city of Rome, yet secluded and peaceful. Join us as each morning as the monks chant the Divine Office in Syriac, a dialect of Aramaic, the language Jesus spoke 2,000 years ago. As you can see from the below Pilgrimage Overview, this itinerary is filled with many personal encounters and visits to some of the holiest places in Italy. The Information and Registration Packet will be available on this site soon! In the meantime, for more information, contact us by clicking the button below.